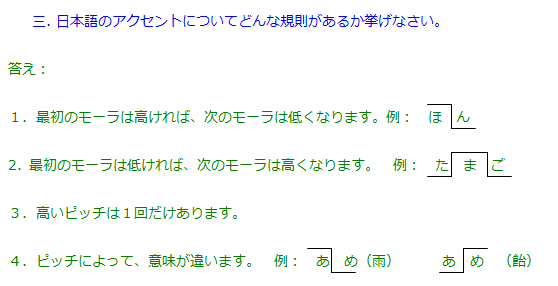 Earlier on, i was looking through one of the Japanese learner’s blog that i have been following. and realize that quite a lot of Japanese learners have this problem of pronouncing the words correctly. As such, i hope that this post can help you to improve your accent. In different parts of Japan, Japanese people speak different accents. 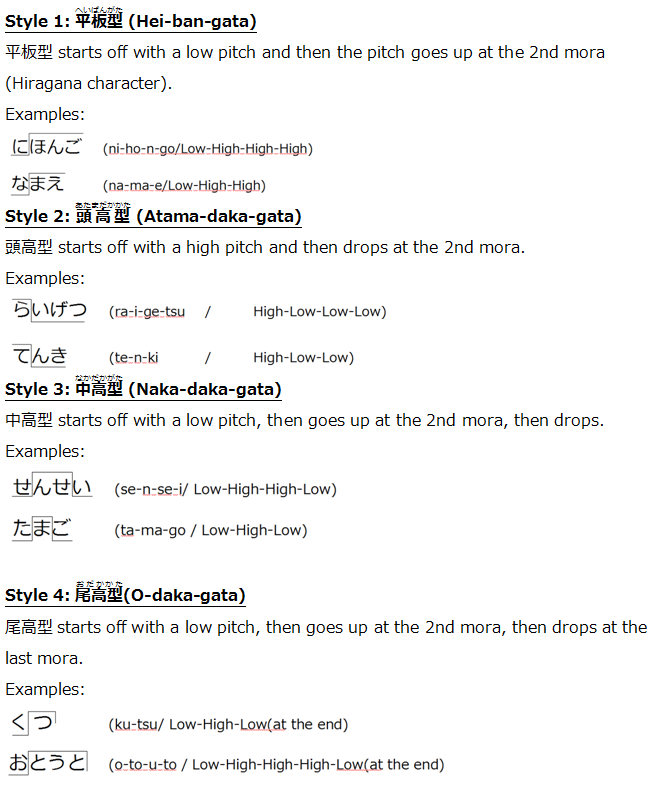 In Japan, the one is mainly used is the Tokyo accent or what we call 標準語(Hyou jyun go)There are generally 4 types of styles of the 標準語. A mora in short, is 1 hiragana character. 2) If the 1st mora is high, the second mora will definitely be low. This was one of my questions that came out during the teaching course. Watch the following 3 videos. Thanks for all the useful information! I really have to go read up about this mora thing. There’s SO much to learn! ^^ Thanks once again!